The 1821 publication of Thomas de Quincey’s Confessions of an English Opium Eater was a watershed event, injecting into the Romantic era a commentary on what opium addiction actually involved, its effects on the mind, body and spirit, and effectively establishing the genre of drug literature as we know it today. 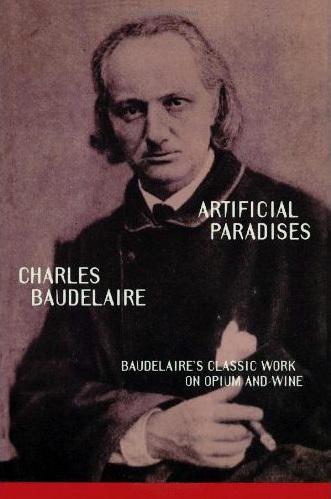 The phenomenon of narcotic fancy was an integral part of the Romantic mindset, best exemplified by Colleridge’s opium-inspired epic poem ‘Kubla Khan’, and poets of the next generation over in France, notably Théophile Gautier and Charles Baudelaire, caught the vibes. In the 1840s, these two were members of the ‘Club des Hashischins’, a loose group of artists and writers who gathered in the Hotel Pimodan in Paris in order to partake of cannabis orally in what we would now describe as ‘heroic doses’. Of western countries at that time, France was the best acquainted with cannabis, due to its invasion of Egypt in the Napoleonic era and the subsequent interest in and importation of the drug by its soldiery. These poets would now put cannabis on the drug-lit map, alongside opium and its derivative laudanum.